Japanese retailer Uniqlo is using a novel method to match t-shirts with potential buyers by analyzing their brain patterns. It’s a marketer’s dream to get inside the brain of a consumer, and a growing field—dubbed neuromarketing—focuses on using neuroscience to make more appealing products. On Wednesday at its central Sydney store, Uniqlo debuted UMood, a system designed to match the right t-shirt to a person based on a brain-wave analysis. The most prominent application for EEG readers are in the medical field, but they’re also being used for gaming and assisting the disabled. After the headset is in place and is calibrated, customers are then shown a sequence of images on a large screen—rippling waves, a dog, someone blowing confetti—as the headset records brain waves 20 times a second. 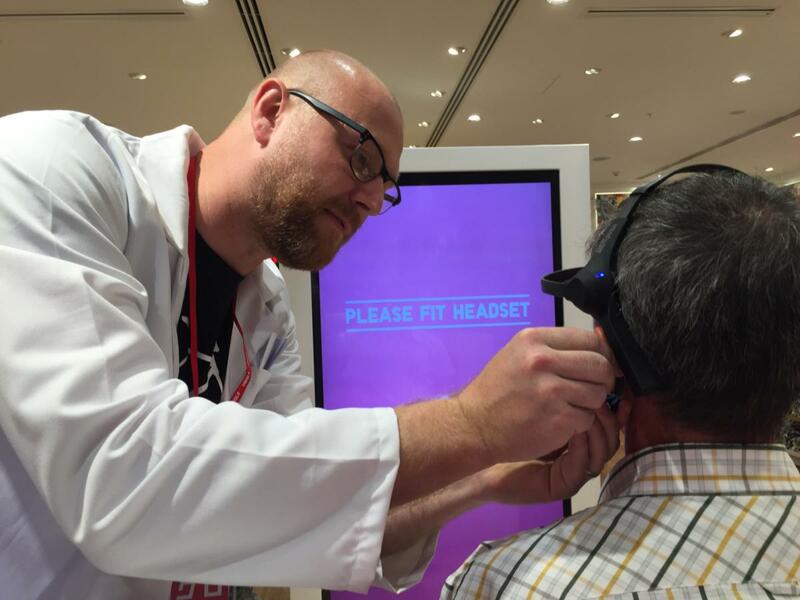 Tim den Braber, a group account director with the digital marketing agency Isobar Australia, affixes an EEG headset during a demonstration on Wednesday of Uniqlo's UMood, a system that suggests t-shirts based on a person's brain waves. A single brain wave signal is sent, although Dentsu’s algorithm splits it to determine five attributes: interest, like, stress, concentration and drowsiness, said Harris, who has lectured on neuromarketing at the University of Melbourne since 2008. Uniqlo has a bewildering selection of t-shirts—around 600. All of those shirts have been subjected to surveys that were used to determine a sort of average mood that people felt when looking at one. Once the algorithm has determined the person’s mood, the appropriate t-shirt is shown. Uniqlo’s hope is obviously that people will choose to buy it. An earlier version of this story had mischaracterized at paragraph three the store where UMood was debuted .